David Cameron has announced a review funded by the Wellcome Trust to find out why so few anti-bacterial drugs have been introduced to the market in recent years. A panel of experts will investigate and present evidence at next year's G7 summit in Germany. 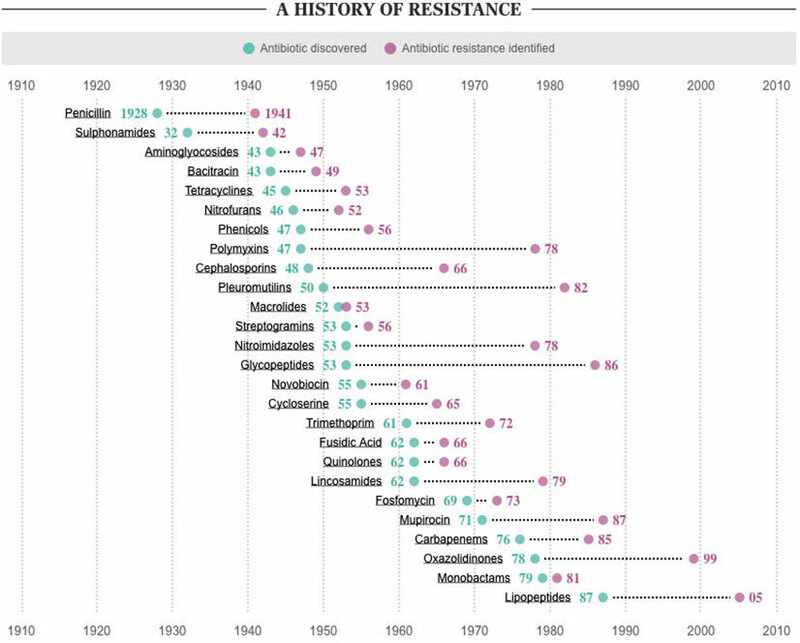 No new classes of antibiotics have been discovered since 1987, and resistant strains have been identified for all major types. Drug companies are part of the problem. "there is a market failure; the pharmaceutical industry hasn't been developing new classes of antibiotics, so we need to create incentives." "100,000 Americans, 80,000 Chinese and 25,000 Europeans a year die from hospital-acquired antibiotic-resistant infections." Will it cause a return to the "dark ages"? Well, first of all, the dark ages weren't that "dark". Secondly, resistant strains of bacteria have been around for a long time. 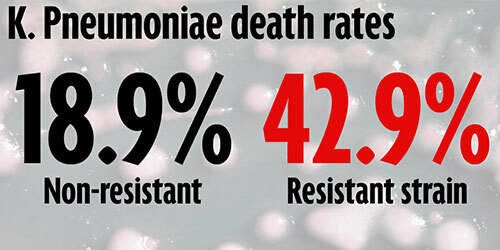 The death rates for people infected with resistant strains of bacteria are much higher than for people infected with sensitive strains, but it's not an guaranteed death sentence. What it means is that if you have to go hospital you're at a greatly elevated risk of dying of an infection which would previously have been easier to treat. The problem is worse in poorer countries, but almost everyone needs antibiotics at some point in their lives. Hospitals have to increasingly rely on primitive prevention methods like increased hand-washing and more diligent sterilization. And the problem is just going to keep getting worse as more resistant strains will develop and antibiotics will get less and less effective. So that's why we need to develop more antibiotics and keep ahead of the bacteria. We're in a war against microbes, and they're winning. 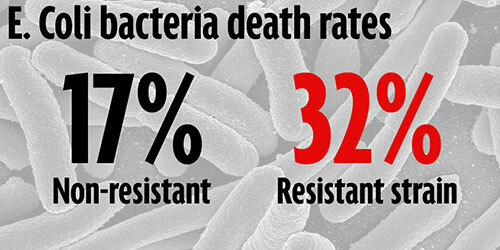 Here's the death rate for the non-resistant (or "sensitive") strain of the bacteria, next to the death rate for the resistant strain. These death rates refer to the number of excess deaths of people from bloodstream infections for different strains of bacteria, so they only apply if you're already very ill and in hospital. Emerged suddenly as a problem in the Iraq War and has become an increasingly prevalent hospital-derived infection. Soldiers with traumatic injuries with large exposed wounds caused by IEDs in Iraq and Afghanistan are particularly vulnerable. Extremely dangerous in people with a weakened immune system like those with alcoholism, diabetes or other debilitating diseases. An increase in resistant strains has been seen globally over the last ten years. Patients have to follow strict hygiene procedures, and limited use of antibiotics is required. Most strains are harmless, but some strains can cause food poisoning, diarrhea and death in the elderly, young or people with weakened immune systems. A common cause of post-surgical wound infections, and is commonly found on people's normal skin flora. 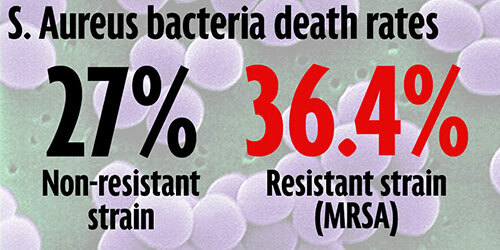 The resistant strain is known as MRSA and is a global problem in hospitals around the world. 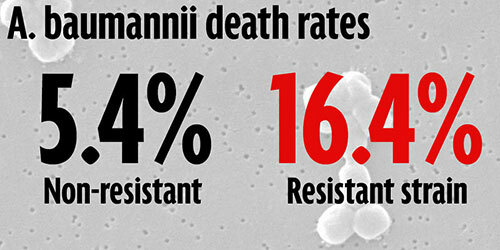 Antibiotic resistance is now a bigger crisis than the AIDS epidemic of the 1980s, a landmark report recently warned. The spread of deadly superbugs that evade even the most powerful antibiotics is happening across the world, United Nations officials have confirmed. The effects will be devastating - meaning a simple scratch or urinary tract infection could kill. Tuberculosis (TB) is a scourge that is threatening to get ugly because TB is usually cured by taking antibiotics for six to nine months. However, if that treatment is interrupted or the dose is cut down, the stubborn bacteria battle back and mutate into a tougher strain that can no longer be killed by drugs. Such strains are scaring the heck out of the medical community for good reason. Tuberculosis is highly contagious, holding the potential to wipe out wide swaths of humanity in the case of an epidemic of these drug resistant strains. Australia's first victim of a killer strain of drug-resistant tuberculosis died amid warnings of a looming health epidemic on Queensland's doorstep. Medical experts are seriously concerned about the handling of the TB epidemic in Papua New Guinea after Catherina Abraham died of an incurable form of the illness, known as XDR-TB (extensively drug resistant TB) in Cairns Base Hospital. Of course we always get big scares from the mainstream medical press, who are big cheerleaders of big pharmaceutical companies as our governmental medical officials. Now medical experts are warning that drug resistant tuberculosis is such a problem in the Asia Pacific region that it could overwhelm health systems. A drug-resistant TB case did touch off a scare in U.S.
"We don't know too much about a Nepalese man who's in medical isolation in Texas while being treated for extensively drug-resistant tuberculosis, or XDR-TB, the most difficult-to-treat kind." XDR-TB is resistant not only to isoniazid and rifampin but also a class of drugs called fluoroquinolones and one or more potent injectable antibiotics. This is one of the nastiest of all antibiotics, which easily destroys peoples' lives by itself. 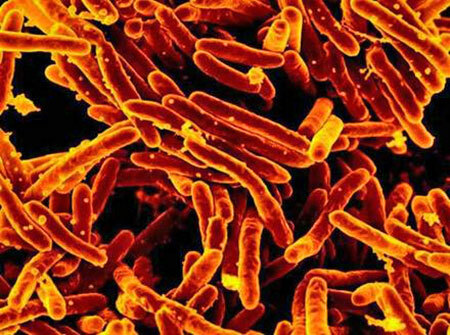 TB germs become drug-resistant when patients fail to complete a course of treatment. When a partly-resistant strain is treated with the wrong drugs, it can become extensively resistant. There are about 60,000 people with XDR-TB strains like the Nepalese man who's in isolation. That means there are other people with XDR-TB traveling the world at any given time. for more than half of the global MDR-TB burden. If you are not scared yet into taking defensive measures then look at what is happening in China where Internet cafes are becoming a major place for the spread of tuberculosis among minors due to poor ventilation and their decreased immunity after playing computer games all night. 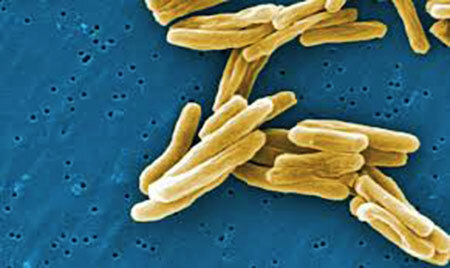 Among infectious diseases, tuberculosis is the city's top killer, the Shanghai Health Bureau said. A total of 139 people were killed by serious infectious diseases in Shanghai in 2011, and 44 of them died from TB. Shanghai registered 3,760 residents with tuberculosis, including 1,988 infective cases in 2010. Nearly half of China's population carries the bacterium that causes tuberculosis and 5 million people there develop the disease every year, according to a 2011 study from the Chinese Ministry of Health. an estimated 500 million Chinese citizens (45 percent of the population) are TB carriers, creating a TB epidemic second only to that of India and accounting for 14 percent of the world's TB carriers. Every single prescription antibiotic from the drug companies carries significant risks. Allergic reactions ranging from a mild rash to severe anaphylaxis resulting in death. Mild to severe and debilitating gastrointestinal upset, most of which patients are encouraged to put up with unless very severe. Serious damage such as permanent deafness resulting from damage to the acoustic nerve, in the case of intravenous gentamycin, for example. Another marked risk to the consumer is being prescribed an antibiotic that conveys no benefit whatsoever (not including rare cases where prophylaxis can be justified). When a viral illness or allergy is seen but no bacterial infection is present (a very common occurrence, with doctors who over-prescribe and mis-prescribe for various reasons). When an incorrect antibiotic is prescribed, which is not specific for the particular infecting organism. This can be avoided by doing a culture and sensitivity test but is often not done. A culture is done to find out what kind of organism (usually a bacteria) is causing an illness or infection. A sensitivity test checks to see specifically which antibiotic will work best against the infecting bacteria causing the problem. Even popular antibiotics such as Zithromax come with warnings of potentially fatal heart arrhythmias, especially in magnesium and potassium deficient people. The FDA has stated that patients at risk for arrhythmia include those who already have a prolonged QT interval, low blood levels of potassium or magnesium, and an abnormally slow heart rate, or who take drugs to treat arrhythmias. Antibiotics have also been linked with sudden cardiac death. The risk of acute kidney disease is doubled for people taking oral fluoroquinolone antibiotics, according to a study of published in CMAJ (Canadian Medical Association Journal). Fluoroquinolones, including ciprofloxacin, levofloxacin and moxifloxacin, are common broad-spectrum antibiotics most often used to treat respiratory and urogenital infections. Case reports have indicated acute kidney injury with use, and prescription labels carry a warning of kidney failure. the treatments that are supposed to eliminate them. It is obvious that it is a lost war on TB. Antibiotics are not appropriate drugs for TB or any other antibiotic resistant bacteria and certainly they are absolutely a hopeless waste of time and money when dealing with fungal infections, which TB often is or is complicated with. Doctors will not get it because their medical boards could care less what happens to the public as long as they make their money and maintain their power. The federal Centers for Disease Control estimates that antibiotic drug resistance costs $20 billion a year in healthcare costs a year and leads to 8 million additional days spent in hospitals. In my essay Drug-Resistant Tuberculosis, Fungus or Bacterial I wondered why they have not tried nebulized sodium bicarbonate, which, when combined with glutathione, offers one of the finest, safest and least expensive ways of treating the lungs. We already know, for instance, that sodium bicarbonate can improve outcome in children with life-threatening asthma, and though it might not deliver the knockout blow to drug resistant bacteria it will certainly pull the rug out from under them by weakening them, because it will instantly change the terrain into something unfriendly. Bacteria that are thriving in an acid condition will flounder when faced with alkaline shocks. captured with an electron microscope. Iodine, that allopathic nutritional mineral that medicine used for almost 200 years, also when nebulized, offers anti-pathogen firepower without equal because it has the ability to take down viruses, bacteria and stubborn fungi all in one stroke. Though it kills 90 percent of bacteria on the skin within 90 seconds, the use of iodine as an antibiotic has been ignored. Iodine exhibits activity against bacteria, molds, yeasts, protozoa, and many viruses. gram-positive and gram-negative bacteria, mycobacteria, yeasts, and protozoa. Most bacteria are killed within 15 to 30 seconds of contact. The above image is from researchers, who tested on live mice, a double-loaded particle, called a nanogel, which significantly delayed tumor growth and increased survival, the researchers report. They administered the nanogels intravenously and, in separate experiments, directly into the tumors. In 2011, IBM researchers and a research group in Singapore showed off a new kind of synthetic, biodegradable nanoparticle that doctors could use to attack bacterial cells that are resistant to antibiotics. They are telling the world that Nano medicine can and will save millions of lives as antibiotic resistant bacteria gain further foothold. Nano soap identifies bacterial cells and destroys their membrane walls. IBM has confirmed that this type of medicine can completely eradicate drug-resistant bacteria on contact. One can find this type of soap being used in the agricultural area. 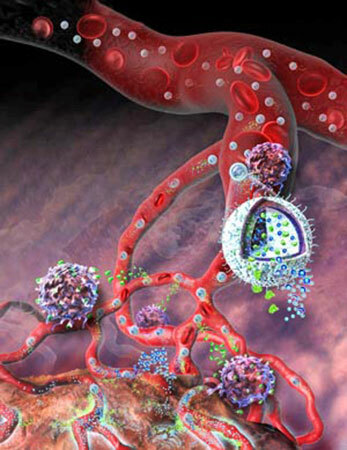 According to IBM researchers their nanoparticles can be injected into a colony of bacteria in the body and wipe it out. IBM researchers are saying that they could put some of their nano-gel on a tracheal tube (which is inserted down someone's throat) or a catheter. That would vastly reduce the risk of infection related to the use of those medical devices. They are also saying that nano soap - type - particles would reduce health hazards for hospital workers, visitors, and patients. It could reduce the risks of methicillin-resistant Staphylococcus aureus, known as MRSA, or staph. In 2005, staph was associated with 95,000 serious infections and 19,000 hospital-stay-related deaths in the U.S.
"The nano particles are physically attracted to infected cells like a magnet, breaking their membrane walls without destroying healthy cells around them. These agents prevent the bacteria from developing drug resistance by breaking through the cell wall and membrane, a fundamentally different mode of attack compared to antibiotics. With the creation of the hydrogel, the nanomedicine could be put into antibacterial soap, deodorant, hand sanitizer, or lotion. It could help heal wounds, tuberculosis, and lung infections," James Hedrick, an advanced organic materials scientist at IBM said. The nanomedicine could also target smaller problems such as toenail infections. "The human body's immune systems protect us from harmful substances. But the body often rejects conventional antibiotics. But the new materials can work because they change themselves once they come into contact with water in the body or on its surface. The material self-assembles into a new polymer structure that is electrostatically attracted to the bacteria membranes (it's like putting oil and water together). The polymers then break through the cell membranes, destroying the cell. 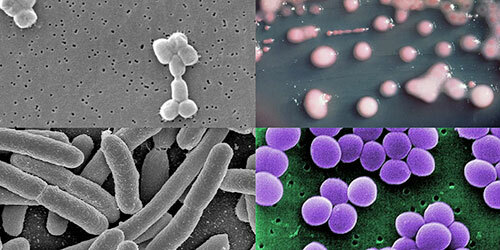 The bacteria, which have amazing adaptive capabilities, can't adapt to this kind of physical attack," reports Hedrick. "It works because cells have a natural electric charge. The polymers are drawn only to infected areas. Other antimicrobial materials aren't biodegradable, but these new materials are made of simple organic molecules. That means they can naturally exit the body, in contrast to other medicines that gather in the body and cause side effects. That means it isn't likely to cause skin irritation or other problems," continues Hedrick. "The hydrogel has another interesting property. It can attack whole colonies of bacteria, particularly if it is injected directly into the region of an infection. These bacteria collections, known as biofilms, can be like the coatings of film on your teeth, germs on touchscreens, or growths on medical devices. The hydrogel penetrates the film and disrupts it. We can kill 100 percent of the bacteria and reduce the likelihood of a recurrence," Hedrick said. "we have found a way to stop bleeding in less than 15 seconds that could revolutionize bleeding control," Rutledge Ellis-Behnke, a research scientist in MIT's department of brain and cognitive sciences, said in a release. "For five weeks I've struggled with Bordetella pertussis or whooping cough. There was no immunization for it when I was a kid. It really should be called "choking cough" rather than whooping cough. A coughing spasm locks the throat for 10 to 50 seconds several times a day (and night). The victim can't breathe. As the constriction relaxes slightly, a long gasp or series of rasping gasps creates the "whoop" which gave this malady its name. I haven't had even a cold for years, so I wasn't expecting something like this to literally take me to my knees." "I began nebulizing a 1:512 dilution of Nano Gel placing the vapor stream so it would curl over my recliner and allow me to inhale the mist constantly for an hour. Always, this loosened the mucous and left a clear breathing passage. The nose and bronchi actually felt clean. I did the "treatment" two or three times a day, usually during the night. I have no idea whether it also reduced the pertussis bacterium, but my "bout" with the cough is receding and I'm able to function pretty normally." "The Nano Gel inhaled this way does its thing in the respiratory system as a cleanser, diluting sticky mucosa, and does not irritate sensitive lung or bronchial tissue. My reasoning was that if it can be safely applied on a wound, it shouldn't hurt a lung, which is subjected to all kinds of dust and fumes anyway. I wonder what it might do for other lung bacterial diseases such as pneumonia. Or even lung-related TB." Dr. Robert Beam has also used this Nano Gel using it to treat second and third degree burns and has said he has seen in vitro tests on staph, pseudomonas, fungus and viruses to great effect. He was very impressed and recommends it be tried on a host of skin conditions including flesh eating staph infections. Also he recommends it for ache, chemical burns, poison Ivy, psoriasis, Herpes Zoster, tick bites etc. The Nano Gel that I used got around the problem of many drugs today that kill off good cells at the same time that they eradicate bad cells. Nano Gel, made solely with FDA approved food additives, is organic and contains none of the synthetic polymers but it will, in the same light, seek out bacteria and fungi cells and destroy their membrane walls. Built from organic biodegradable molecules Nano Gel could prevent bacteria from developing drug resistance by breaking through their cell walls and membranes. This is a fundamentally different mode of attack when compared to antibiotics, which are against all life, as their name suggests. Antibiotics are anti-life whereas Nano Gel will break the back of fungi and bacteria without destroying the healthy cells around them. I am not going to make any recommendations for dosage or use except to say that the agricultural grade Nano Gel I have used is diluted from 200 to 500 ounces water to 1 ounce of Nano Gel so a few ounces goes a long way. One could call it Nano Soap as well for it does more than clean the smile off of bacteria face walls. One could clean a battleship with a gallon of the stuff! The popular antibiotic azithromycin (Zithromax and Zmax, Pfizer) poses the risk for a potentially fatal irregular heart rhythm, which therefore warrants careful screening of patients for this drug, the US Food and Drug Administration (FDA) announced today (March 12, 2013). Canadian Medical Association Journal. "Risk of kidney disease doubled with use of fluoroquinolone antibiotics." ScienceDaily. ScienceDaily, 3 June 2013.